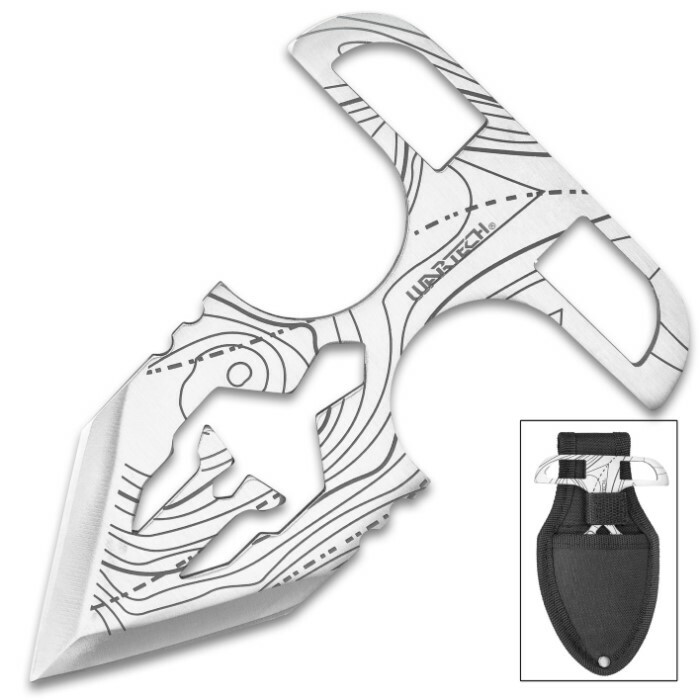 Spartan Silver Push Dagger With Sheath - Stainless Steel Construction, Double-Edged Blade, Laser Etched - Length 4 3/4” | BUDK.com - Knives & Swords At The Lowest Prices! When you have the Spartan Silver Push Dagger, it’s like you’re carrying the spirit of an ancient warrior at your side and he’s ready to go to battle for you. The push dagger has a solid, one-piece stainless steel construction with the iconic Spartan Helmet expertly cut into the body of the blade. 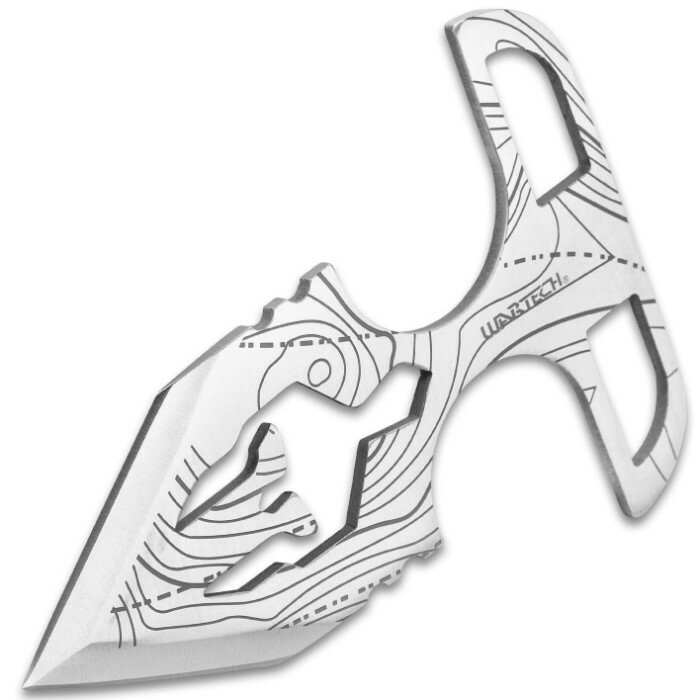 The keenly sharp, doubled-edged blade has a laser-etched topographic map pattern and it features notches on each side, above the edges. 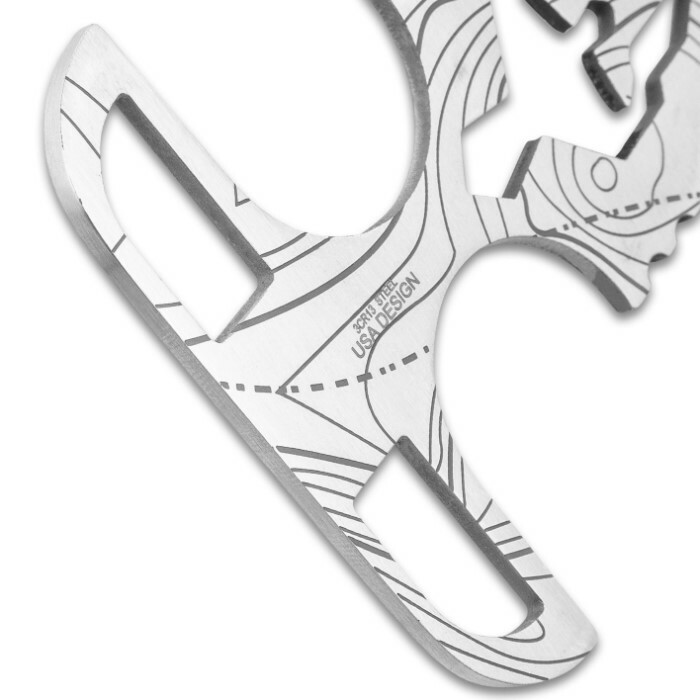 The ergonomic handle has plenty of room for a comfortable grip, cut-outs for your fingers and the black, laser-etched pattern is continued through-out. 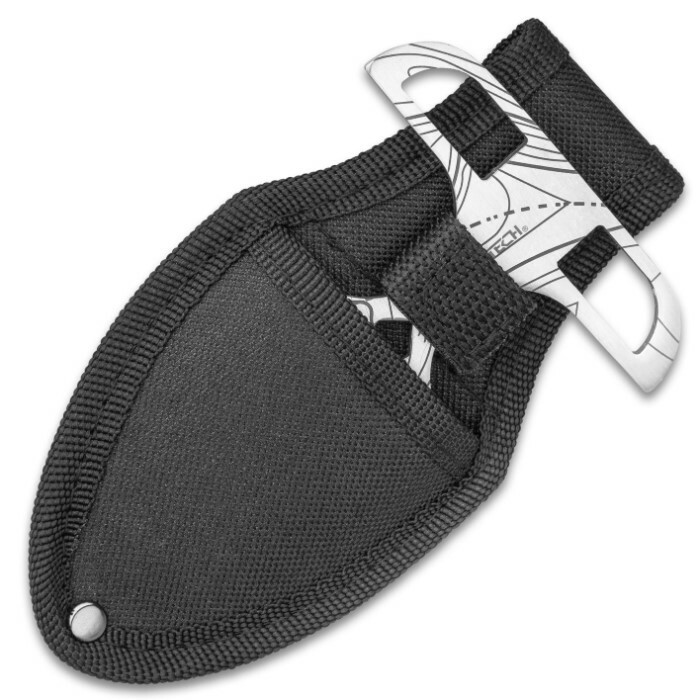 The 4 3/4” overall self-defense weapon slides securely into a nylon belt sheath with a Velcro closure for storage and carry. Let his hero be your discreet self-defense!